Happy Halloween! If you’re like me, you’re just a littttle too old to be trick or treating. 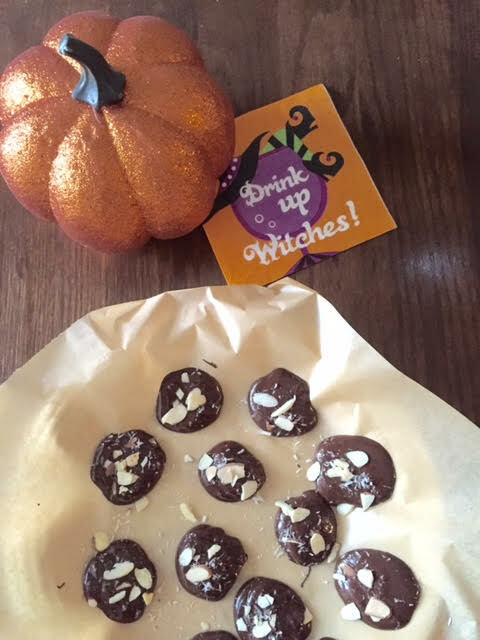 My plans tonight consist of a bottle of wine, Hocus Pocus on the couch, and these stupid-easy dark chocolate sea salt clusters in celebration of this spooky holiday. 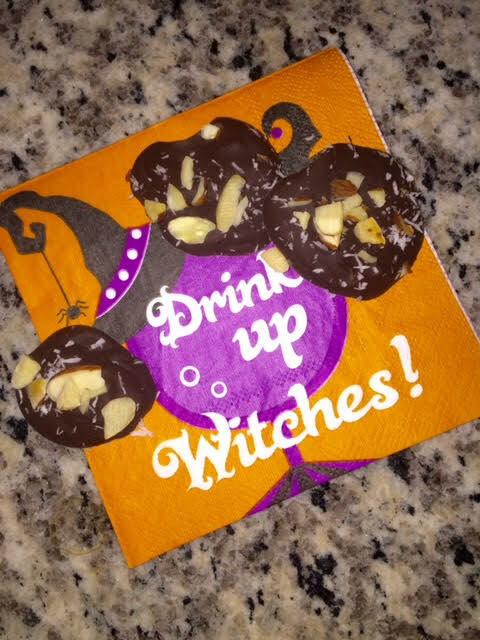 Seriously, these are the easiest things ever to make, but sooo good and way healthier than your average candy bar. Place a piece of parchment paper on a plate, baking sheet, etc. 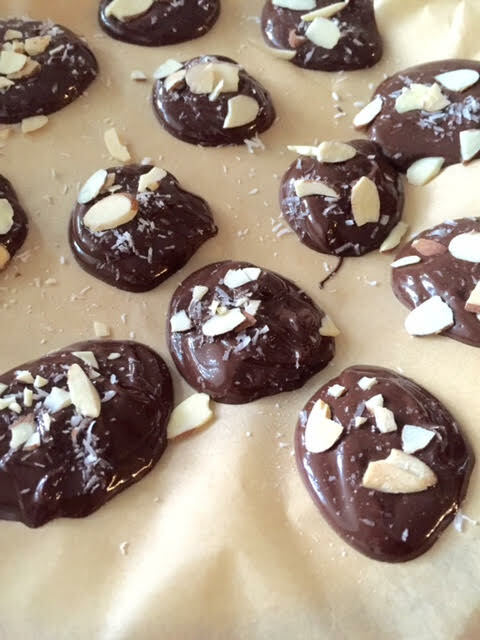 Drop spoonfuls of the melted chocolate onto your parchment paper – you should be able to make about 12 clusters. Sprinkle each cluster with a little bit of unsweetened coconut, a few shredded almonds and top with a tiny, tiny bit of sea salt. Pop them in the freezer for about 1 hour, or until hardened. And it’s as simple as that – Enjoy, boys & ghouls! Yummm!! The perfect little treat. And they have antioxidants, so #healthy! While the blog itself has taken a backseat for now, I still love this platform as a means of sharing, connecting & even micro-blogging, especially as it pertains to everything I love - food & cooking, barre3, travel, wellness & everything in between. _ As last year started to get busier with work, wedding planning, traveling, teaching barre classes & whatever else came my way, I had to get really real with myself and figure out what my top priorities were, & blogging just wasn’t one of them. Even though writing is a big passion of mine, it wasn’t paying the bills, or making my to-do list any shorter, let’s be honest. 🙃 & honestly, it wasn’t lighting me up any more like it used to. That’s how I knew I needed to take a step back, evaluate + really prioritize. _ So, while my blog is on pause for now, I’m so excited for what the rest of this year will bring. ✨ what are you most excited for this year?